The simplest way to make a gift to the hospital is with a donation via check or credit card. Gifts can be designated to The NCH Fund, the capital campaign, or specific needs of the hospital. Give now online, or mail a check to Nantucket Cottage Hospital Foundation, 57 Prospect Street, Nantucket, MA 02554. 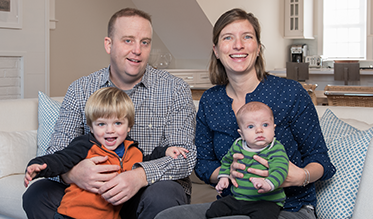 When medical care requires off-island travel to one of Nantucket Cottage Hospital’s partners on the mainland, the time, logistics, and expenses can be daunting. Click here to donate to the NCH Travel Funds, which provide critical assistance for patients in these situations. Memorial and Tribute gifts can celebrate an occasion, honor a friend or caregiver, or remember a beloved friend or family member. A gift of stock can provide significant tax advantages and allow you to increase your contribution. Download details for a stock transfer here or contact the Foundation Office at (508) 825-8250. Wire transfer instructions are also available here. Be sure to let us know when you are transferring stock or making a wire transfer so that we can ensure the gift is appropriately credited to you. Consider a planned gift or bequest to benefit the future of wellness on Nantucket. Learn more about gift planning. Leverage matching gifts from your employer. If your company has a matching gift policy, check their guidelines and submit a matching gift form with your gift. We’ll take care of the rest. Some companies will also match gifts made by retirees and/or spouses. Invest in the future of healthcare on Nantucket with a gift or pledge to the capital campaign. Honor a Nantucket Native! Since 1999, Nantucket Cottage Hospital has honored Nantucket Natives who were born at the hospital with our Wall of Natives. This wall is located outside The Birthplace and includes bricks engraved with the native’s name and date of birth. For a $100 donation, the bricks have been a beloved ritual for many island families with new babies.The bricks in the current hospital are unable to be relocated to the new hospital building which is expected to open in 2018. However, all Nantucket Natives who have a brick in the current building will be acknowledged in the new building in a new way – such as a tile wall or etched glass plaque. Until the new building is complete, we will accept pre-orders for new additions but their names will not be displayed until the new building opens. Click here to pre-order your native’s spot in the new hospital building. For questions, please call the Foundation at (508) 825-8250. Donate a car. The hospital maintains a small fleet of vehicles for our visiting physicians and staff. Vehicles should be less than 10 years old and in good working condition. It’s a great way to keep a well-loved car in use and get a tax deduction. Questions? Contact the Foundation Office at (508) 825-8250. 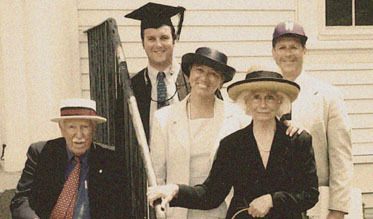 A chance visit to Nantucket nearly 50 years ago first brought the Beach family to the island, and would lay the foundation for what would become one of Nantucket Cottage Hospital’s most meaningful and lasting relationships. 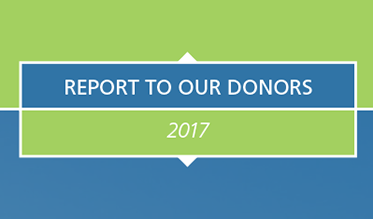 Every year, the Nantucket Cottage Hospital Foundation publishes its annual Report to Our Donors to celebrate, highlight, and thank our donors and volunteers. This report is filled with the names of people who recognize that life as we know it on Nantucket wouldn’t be the same without a hospital that meets the needs of a thriving year-round community.